It is spring and my video game collection is abloom with additive titles. Reliving my childhood with 3DS Majora’s Mask, crafting the perfect Saiyan warrior in Dragon Ball: Xenoverse and experiencing the different outcomes of Life Is Strange are all equally tempting ways to spend my (gaming) time. I’ve had real trouble dividing my time among them. There are only so many hours in one day, you know? Well, I’ve found a solution to my problem: The Witcher 3: Wild Hunt. CD Projekt Red’s newest game now has monopoly on my time. Why? Well, let me first tell you as succinctly as I can: holy crap it’s good. Read on for a full description of my (relatively spoiler-free) impressions of The Witcher 3! 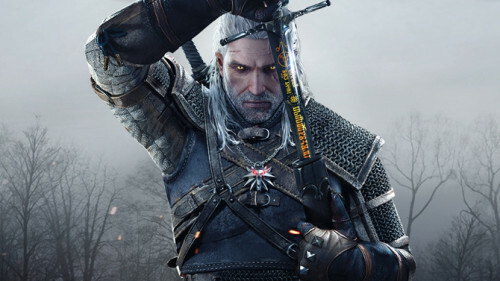 I’ve only spent a few hours with the third installment of the Witcher series, but, despite the brief amount of time I invested into the game, I found it hard to pull myself away from it in order to write this impressions article. I had seen a couple of trailers, watched my boyfriend and roommate play the game the day it came out, read a few opinion pieces on the game, but nothing prepared me for the level of addiction I am currently experiencing. Before actually playing the game, I thought it would be another solid game that I would have only a fleeting interest in. I thought it would be a game I might not even bother to finish after its sheen and gleam inevitably wore off. I thought it would be like my experience with The Witcher 2, and I was, of course, dead wrong. You have to love those locks. The developers sure did. 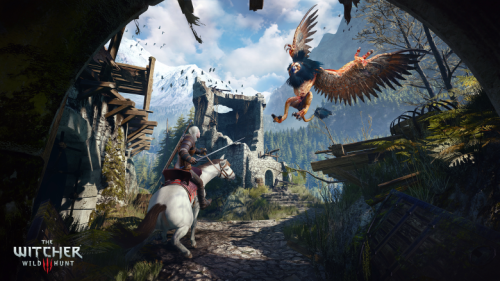 As you have probably already noticed, The Witcher 3: Wild Hunt looks exceptionally beautiful. 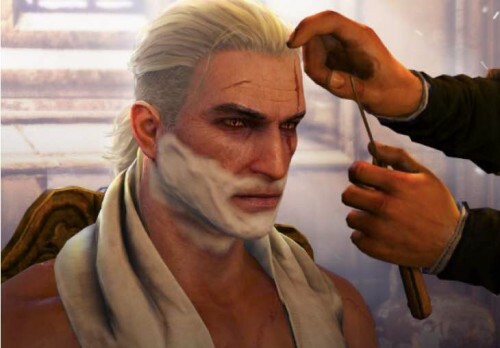 The level of detail in the faces of each and every NPC, the flowing masterpiece that is Geralt’s hair, the beautifully-wrought cobblestone buildings and the amazing reflection and shadow of the clear blue water of the babbling brooks and placid rivers are some of the visual delights you’ll encounter in the game. The best part is that interactivity is not sacrificed for the game’s beauty. There are many things to be loot, characters to speak to, drunk peasants to bare-knuckle box with, and barrels to knock over (mischievously). Griffons are just plain awesome. The Witcher 3 isn’t just a looker though. I was thoroughly impressed — how appropriate as this is an impressions article — with the combat. The combat and the leveling up system are intuitive without being oversimplified, which, in my experience, is relatively rare. I thought the button mapping might be a bit awkward on my PS4 controller as I preferred The Witcher games on PC in past years, but I was pleasantly surprised by the fluidity of battling with a controller. It’s got the looks, it’s got the guts, but does it have the heart? Is the story there? The sliver of the main story I have experienced has already engrossed me. So, yes, the game has heart. The Witcher 3 is entertaining and at times even endearing. Well, it has endearing moments when the characters aren’t mindlessly and needlessly obscene, but I honestly enjoy the seemingly unnecessary debauchery, too. But I expected to enjoy the game’s main story. What I didn’t expect was to be genuinely interested in the side quests, which have proved to be very high quality as well. I am usually bored with lazy fetch quests that so many RPGs are rife with. I usually have no choice but to complete hollow, experience-filled side missions. Still, I don’t complain about this because I’ve come to expect it in video games. 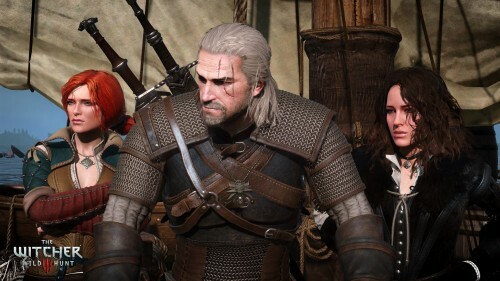 It’s a hard feat to make every single quest as fun as the last, but The Witcher 3 has seemed to accomplish this feat, at least in some small measure. From the short amount of time I’ve spent with this game, I can already confidently recommend that you play this game. It’s worth your time and it’s worth your money (especially since CD Projekt Red provides free DLC to everyone who buys the game). What other fantasy RPG has references to both a Jim Jarmusch film (Broken Flowers quest) and Fist of the North Star (Fist of the South Star achievement)? It’s beautiful, it’s entertaining and it’s got a real style in a sea of bland fantasy games. 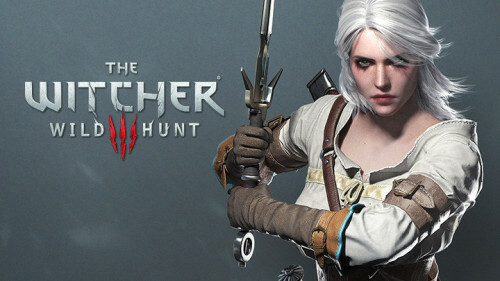 What are your thoughts about The Witcher 3: Wild Hunt? Tell me in the comments or tweet @gamebloggirl!